Only I could turn up for a gig an hour and a half early thanks to a broken watch. There's nothing like a bit of fine dining cuisine courtesy of a Tesco meal-deal to waste away the time. It's been a fair old while since I've ventured to The Globe in Cardiff. The last time here the fun police (or bouncers as they like to be called) were taking charge stopping anyone dancing too vigorously to Temples, who rather ironically were being played as filler music inbetween sets this eve. It's always a bit of a strange transition after festival season to be back at a gig but one I was most looking forward to, a Transgressive Records party of sorts with Liu Bei, Gengahr and Dry The River all heading up the bill. A fan from day one, Liu Bei wasted no time in setting the tone for things to come as Richard Walters' fraught vocals echoed around the room - his impeccable control forming a force to be reckoned with as he held notes to a crisp point. Formerly a solo artist, now with his new project, Walters pours every bit of emotion in to his work. Previously described as 'undeniably in the moment and for the moment' there's no arguing with the band's divine talents as they delivered every bit of conceivable power that's stowed away on record. 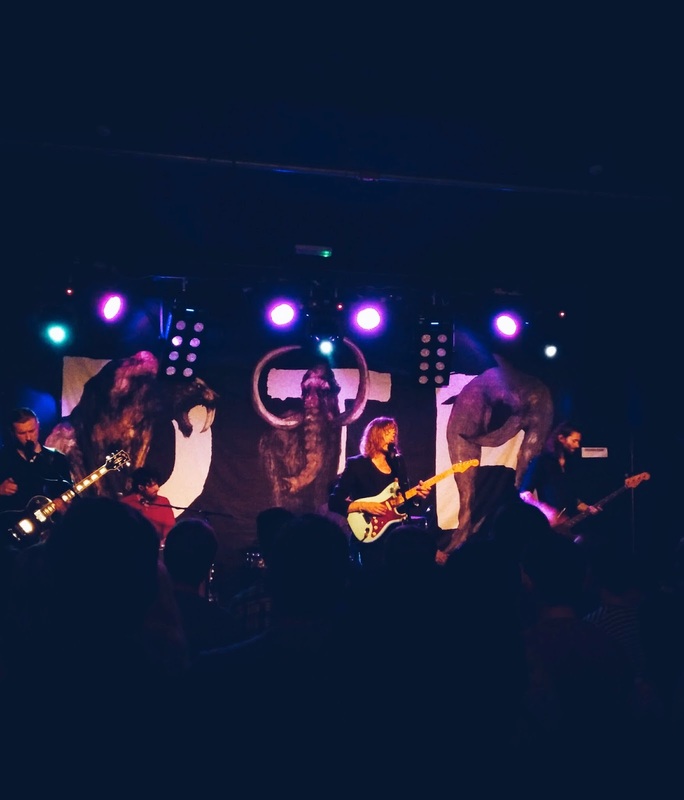 Even more dumbfounding in a live setting the band's impressive range of rip-roaring crescendos to fragile profundity is nothing short of mesmerising as they rounded up on my favourite of theirs, Infatuation. Whilst relatively unheard of on this side of the bridge it goes without a doubt to say they've defintiely earned some new fans tonight as the rather stupefied crowd gave them a cheerful send off. Next up was another band that have impressed from early on - their demos already garnering rave reviews amongst the blog world. 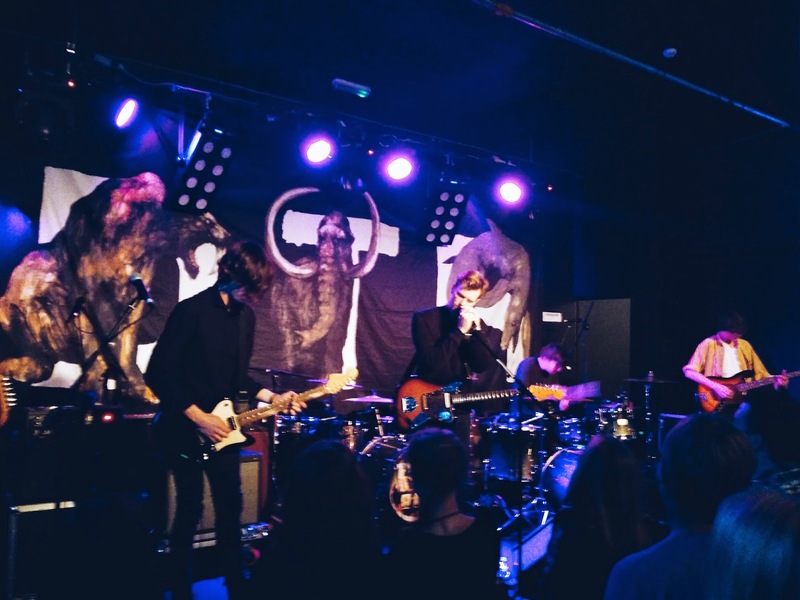 With the room now filled considerably Gengahr unveiled their blissful and delicate falsetto tones to the Welsh crowd in fine style. 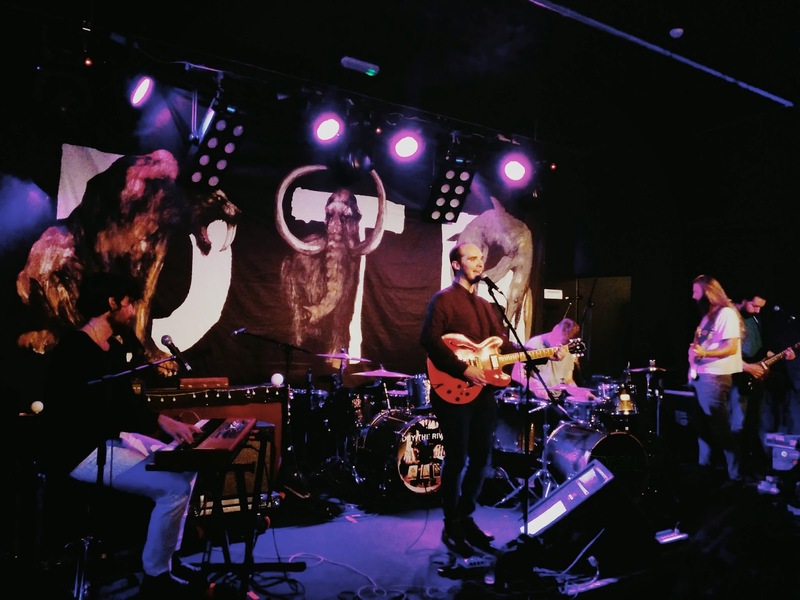 Born from the desire to create something undoubtedly differentiating, the London based four-piece have almost certainly achieved their goals. Whilst still fresh out the box they manage to conjure up a distinct nostalgia in their music as lo-fi sounding guitars rattle amongst more experimental song structures. Having relentlessly toured all summer the band's live show is as tight as ever and it goes to show just what they're capable of as MGMT/Youth Lagoon induced sounds cascaded around the room. The first ever track of theirs to reach my radar back in April this year, Fill My Gums With Blood, wholeheartedly receives the biggest reaction of the night, many letting go to its bubbling vibe before the band launched in to set closer Powder. If you're around Cardiff next weekend and heading to 'Dim Swn' I can't urge you enough to go check them out! It's no wonder they've so quickly become NME favourites. With a little longer wait between acts, and The Globe bursting at full capacity, I realised how wrong I was to a wear a wool-blend shirt. Sweat aside, Dry the River finally emerged from the droning ambient noise on stage to a grandiose cheer. Having been away for what's felt like a lifetime working on their second album 'Alarms in the Heart' Peter Liddle jokes thanking everyone for not forgetting about them as they kicked things off with new track Hidden Hand. For some strange reason, that I have no logical explanation for, I've only treated myself to their debut album in acoustic form. Whilst gigs normally offer more force than a studio recording, for me it was an even more powerful experience. Even track's like History Book were sounding exquisitely formed with full instrumentation. That said, with a tour predominantly in support of a new record the majority of the set was made up of fresher tracks, although that didn't stop the Cardiff crowd enjoying every moment. Especially so when the new offerings allowed the band to showcase some of their neck-hair-raising acappella harmonies that sliced through the silent airy room acoustics. Not a murmur from the attentive crowd showing nothing but admiration, something that's often forgotten at live shows. Thanks to Dry The River's vastly appealing sound there's a wide mix of ages in attendance. Often feeling like the oldest in the room at shows despite being 24 tonight's audience alleviated me from my aged thoughts, even if my aching back failed to respite me. As the set moved on, Gethsemane showcased the band's delicate affection as Liddle's resplendent falsetto glistened over the track's sprightly guitars. Another demonstration of their undying ability in transforming such softly played songs in to brash hurricane induced sounds. "This is a serious song" he announced in reference to Vessel - uttering a nervous chuckle whilst dropping a plectrum. My favourite off the new album with its rousing string section and exploding finalé it was brought to life in the most gorgeous of ways as violin bows grated guitar strings in true Sigur Rós fashion. Other highlights included their newer single Everlasting Light with its radiant guitar lines and old favourite Family. Returning for an acoustic encore the true force of their harmonies really showed. "We're a 'professional' band called Dry The River" jokes bassist Scott Miller as Liddle can't find the right key to play in, only to discover he still had his cappo attached. Doh! As the ever poignant lyrics "I was prepared to love you" strain across the crowd the band edged in to their final song of the evening, and quite possibly biggest crowd pleaser, Weights & Measures. Eliciting the largest sing-a-long its emotive prowess delivered on everything it's worth as cascading percussion crashed down in its animated grandeur way. I think this summed up the evening's performance. High strung alt-folk pop performed to the highest degree. 'Alarms In The Heart', the second album from Dry The River is available now through Transgressive Records.